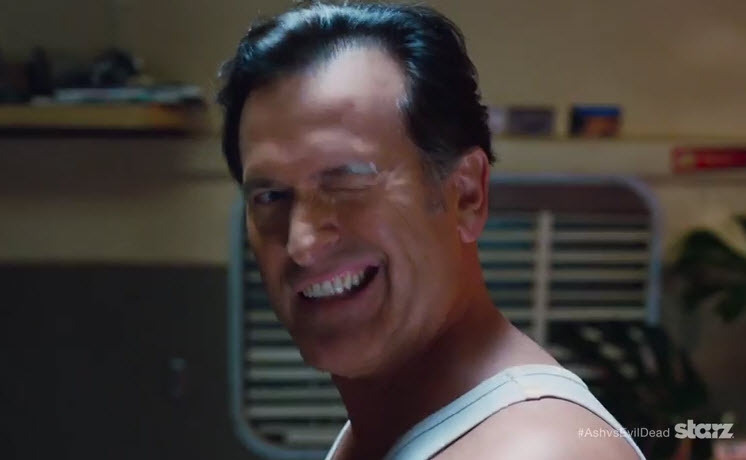 Bruce Campbell, Sam Raimi, and Ivan Raimi are bringing Ash back in a Starz original. Ash vs. Evil Dead season 1 is set to premier on October 31st., so don’t expect me to be handing out any candy this Halloween, I’ll be glued to the couch. Bruce Campbell has done some great stuff and is in my opinion an actor that should be doing more. Most of us came to love him after his role in the Evil Dead movies, but these days he’s probably more recognized for his part as Sam Axe on Burn Notice. No matter what you love Bruce for, this return to Ash is going to be nothing short of awesome.